The VIGO streetcar is featured as part of ArtLOUD's newest project. We are excited to share our hand painted streetcar featured in the ArtLOUD Streetcar Challenge. Our streetcar is a true replica showcasing both Vigo and Alessi brands. 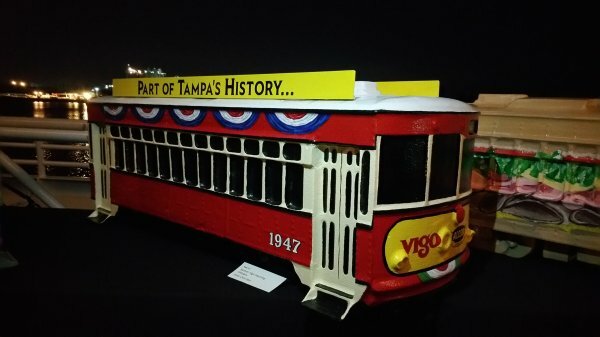 The Vigo streetcar will be on display in downtown Tampa on the Riverwalk near the Tampa Museum of Art. ArtLOUD made the streetcar sculptures and invited artists around Tampa Bay to pick one up and decorate it how they wish. Not only will the sculptures decorate Tampa, but they will also help promote this method of mass transit.